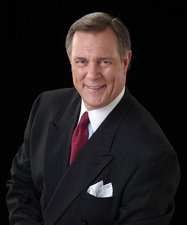 Veteran NBC5 news anchor Mike Snyder, who has teamed with Jane McGarry on the Fort Worth-based station's 10 p.m. newscasts since 1990, apparently has been given a couple of offers he'd rather refuse. Reliable sources tell unclebarky.com that Snyder has been presented with two options by station management. No. 1 would mandate a more than 50 percent cut in pay and relinquishing the 10 p.m. newscast. 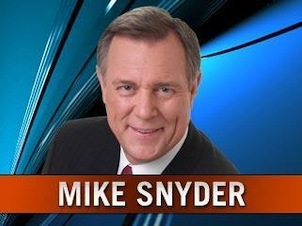 Snyder would still co-anchor the 5 and 6 p.m. newscasts. No. 2 would be a buyout/retirement package, including a lump sum payment in the low six-figures. Snyder, who joined NBC5 in 1980, could not immediately be reached for comment Sunday. Reached Monday, he declined to comment. NBC5 management, which confirmed an unspecified number of layoffs on Friday, has declined to comment with any specificity. Asked about Snyder's situation, a station spokesman said Friday, "Today didn't involve that at all. There's no news on that." NBC5's 10 p.m. newscasts topped the Nielsen ratings for five consecutive years before being dethroned by WFAA8 in 2007. The Peacock is on track to finish a distant third in the May "sweeps" in both total viewers and 25-to-54-year-olds, the main advertiser target audience for news programming. The NBC network hasn't helped matters with another dismal prime-time performance, particularly in the 9 p.m. hour. NBC5 is faring much better in the 5 and 6 p.m. May ratings races, which end after Wednesday's programming. At 5 p.m., NBC5 is running a close second to WFAA8 in total viewers and is tied for the lead with WFAA8 among 25-to-54-year-olds. The 6 p.m. Nielsens also have NBC5 running second in total viewers, again behind WFAA8. The two stations currently are tied for second in the 25-to-54 demographic, behind Fox4. NBC5 is owned and operated by NBC Universal, which has been both cutting newsroom staffs and entering into content sharing operations with what used to be rival local stations. Earlier this spring, KNBC in Los Angeles dealt out longtime anchor Paul Moyer while WNBC of New York's signature sports anchor, Len Berman, also recently took the gas. In a continued troubled economy, veteran anchors with top-heavy salaries are endangered species across the TV news board. A 50 percent salary cut would still leave Snyder with a sizable six-figure salary, sources say. The most logical 10 p.m. replacement for Snyder would be NBC5 weekend anchor Scott Friedman.